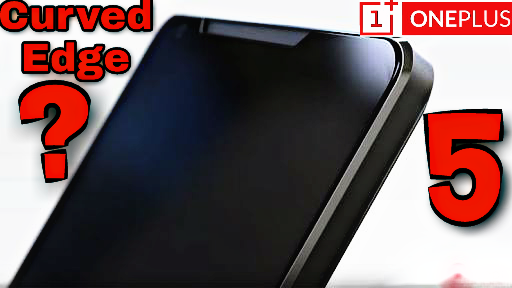 Oneplus 5 Curved Edge ?? | Design | Specification | Dual Lens | - DKHD Tech.. So guys as you know that oneplus is a budget smartphone company. And oneplus 5 is a edge display just like Galaxy S8 and S8+ is cost too much and than phone isn't under budget . Because display cost too much. Oneplus 5 is might be the bezeless smartphone just like the LG G6 And might be the same resolution just like Galaxy S8 which is the QHD+ resolution..
Let's talk about the camera of oneplus 5. Rumors says that oneplus 5 is may be with dual lens camera with 16MP dual lens rear cam and 8MP front..
Oneplus 5 is with the 8GB of Ram because oneplus 3T is be with the 6GB of Ram. And along with snapdragon 835 processor and upto 256GB internal storage..
As oneplus 5 is a budget smartphone so it's in between 400$ to 500$..